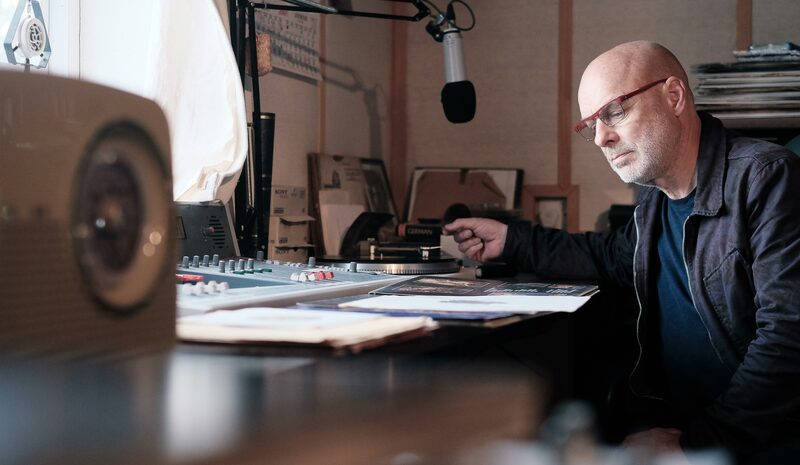 In this special Record Box collaboration with the BBC, we invited Brian Eno to explore John's record collection ahead of his John Peel Lecture. Since the early 1970's Brian Eno has been confounding convention and redefining what it means to be groundbreaking. Lester Bangs described him as a "true original" but also as a contradiction, "He's a serious composer who doesn't know how to read music. A rock star who doesn't have a band and never tours". As a musician, producer, artist, he has not so much moved the goalposts as he has packed them up and taken them with him on his journey in case they might be useful. To mark his John Peel Lecture on "The Ecology of Culture" for the BBC, we invited Eno to Peel Acres, to spend the day digging through John's collection for records that have influenced him, and this record box accompanies the BBC 6Music show recorded on the day. "This is probably one of the greatest music archives in the world" he says, "so I'm doing this for selfish reasons really... I don't care if you never actually use it". 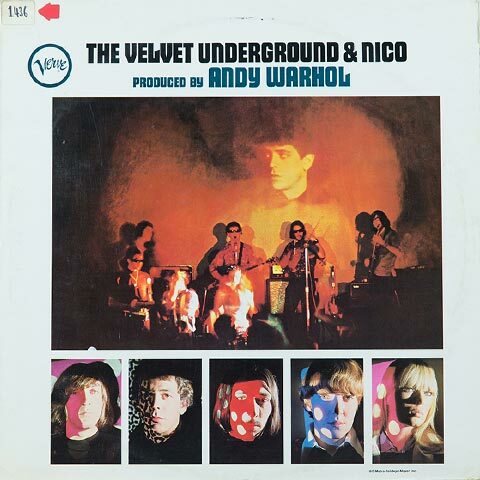 The Velvet Underground's debut is one of the most influential albums of all time, some forty years after its release it is still hidden behind mystique, intrigue, and notoriety that the band both cavorted and inadvertently achieved. Lou Reed's tales of New York's seedy underbelly, told with a cool nihilistic distance, were completely at odds with a world readying for 1967's summer of love, and the album famously didn't sell well. It didn't help that most New York radio stations banned them from the air because of the lyrical content, which scuppered any chance of financial support from their record label, Verve. 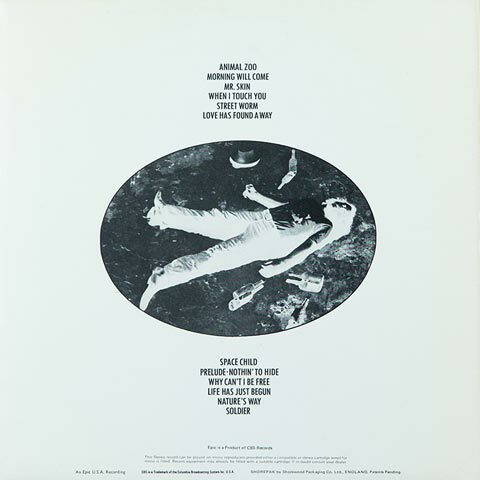 Although the aesthetic influence and capital of Andy Warhol cannot be discounted, it was John Cale's musical vision combined with Reed's songs that became the band's defining legacy. 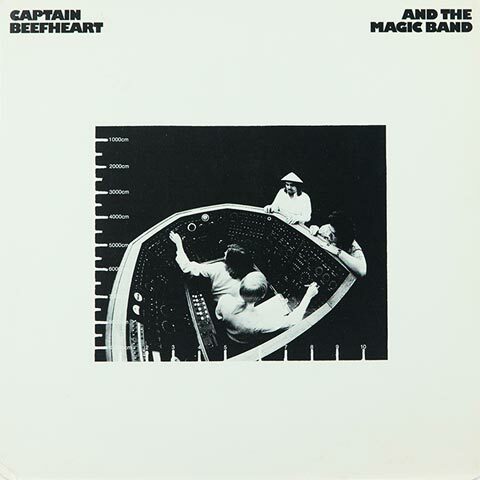 Captain Beefheart, AKA Don Van Vliet, together with his Magic Band released their seventh album "Clear Spot" in 1972. Ted Templeman, who had produced The Doobie Brothers and who was fresh from recording "Tupelo Honey" for Van Morrison, was brought in as an attempt to address their lack of commercial success. Clear Spot saw Vliet leave behind the unhinged sense of adventure that had previously defined him, but rather than gain a new following, the new direction just perplexed their existing audience who were devoted to his more avant garde tendencies. 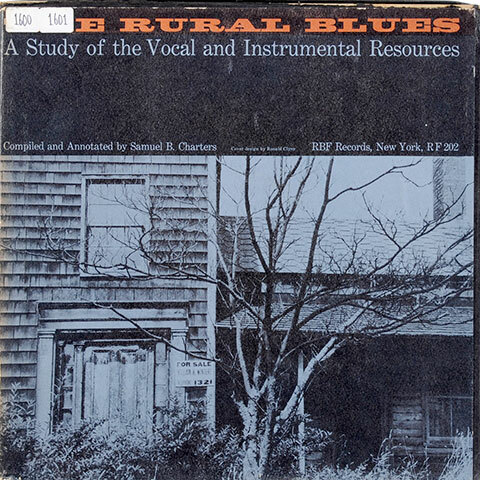 'The Rural Blues' was a 36 song study of the blues compiled and annotated by Samuel B. Charters, who wanted to show the massive variation in style that existed and had previously been ignored. He said, "For me, writing about black music was my way of fighting racism. That's why my work is not academic, that is why it is absolutely nothing but popularisation, by introducing music I can have somebody look across the racial divide and see a black face and see this person as a human being - that's why my work is unashamedly romantic." 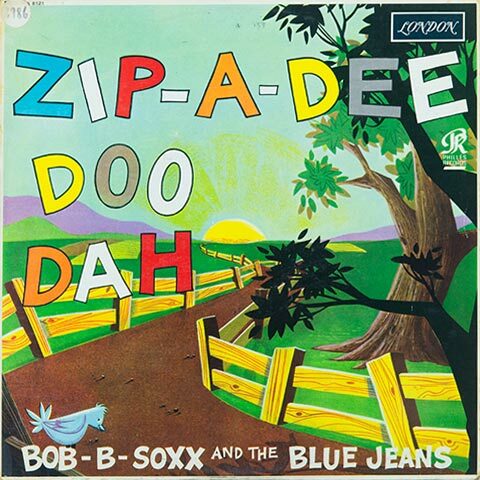 Bob B Soxx and the Blue Jeans were formed and produced by Phil Spector at the start of the sixties as a vehicle for Bobby Sheen's voice. 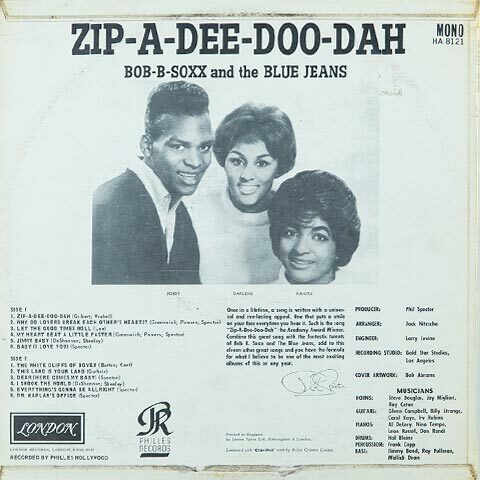 However by the time "Zip-A-Dee-Doo-Dah" was recorded it was Darlene Love from The Blossoms, another of Spector's groups, that sang the lead. 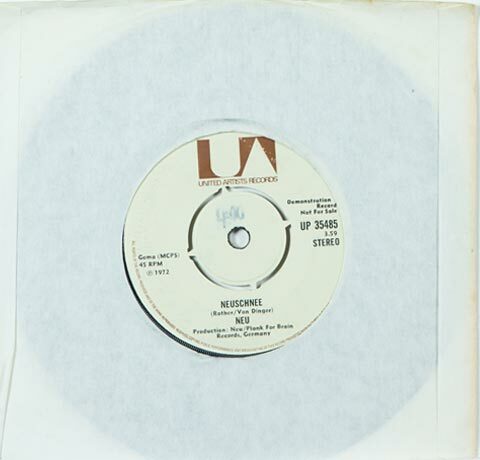 Love and Sheen were joined by Fanita James, also in The Blossoms, and together they were backed by legendary session group The Wrecking Crew - who were beginning to build the "wall of sound" that Spector became known for. 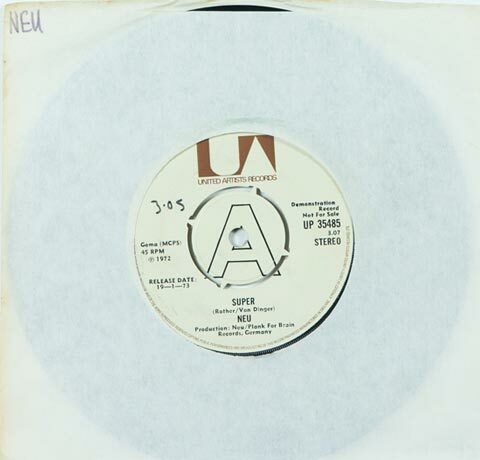 The album's title track was a top ten hit for the group, but subsequent singles were unsuccessful and they were dropped by Spector's Philles Records with the three singers going on to find varying success with other projects. 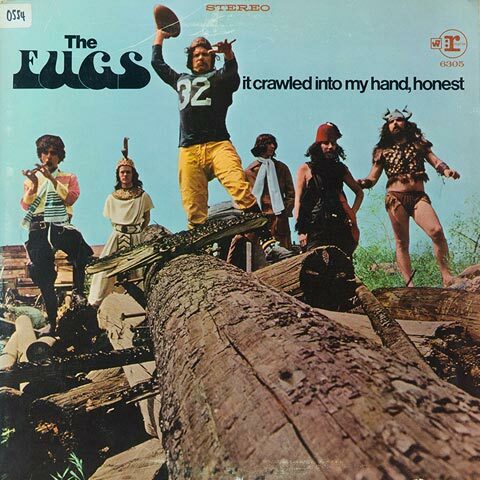 Described by Uncut magazine as being "as garish and impassioned as the sixties themselves", The Fugs were poets Ed Sanders and Tuli Kupferberg, with Ken Weaver on drums and a revolving cast of session musicians. Which, on their second studio album "It Crawled Into My Hand, Honest", included some of Harry Belafonte's singers. 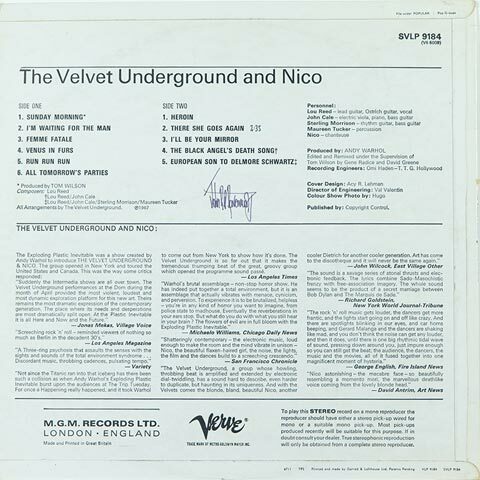 Their satirical songs didn't so much straddle the lines of decency at the time as jump up and down on top of them, the FBI is quoted as calling their first album "vulgar and repulsive and most suggestive". Which makes this album, crude and anti-establishment at heart, all the more remarkable as it was made with twenty five thousand major label dollars. 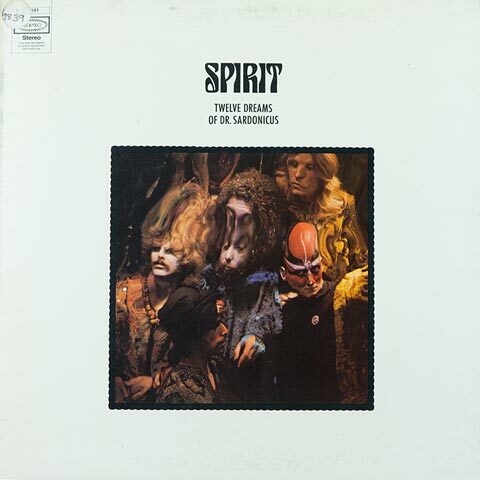 The first four Spirit albums are considered by many to be essential psychedelic music and have remained very much underrated. "12 Dreams of Dr Sardonicus" was the fourth of those albums and is Spirit's most adventurous attempt to articulate the human experience. The band brought in David Briggs to produce the album on the recommendation on Neil Young, who had just finished recording "After The Gold Rush" with him, and Briggs helped the band to find a clearer, more accessible sound. 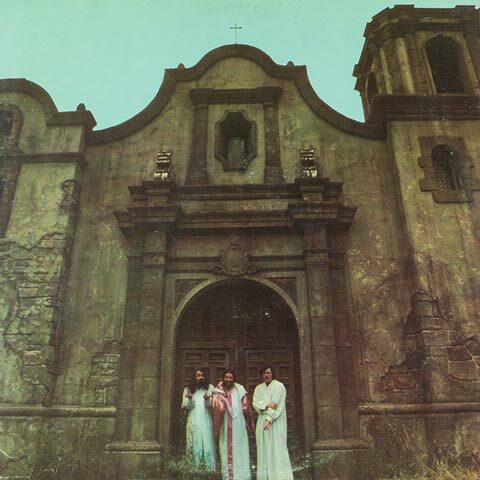 Despite the subtle change to their style, the album had little impact and although Spirit continued in name, it ultimately resulted in their key members going their separate ways. After leaving Fairport Convention, Richard Thompson released his first solo album to a very poor critical reception, "Henry The Human Fly" was allegedly the worst selling record in the history of Warner Brothers. 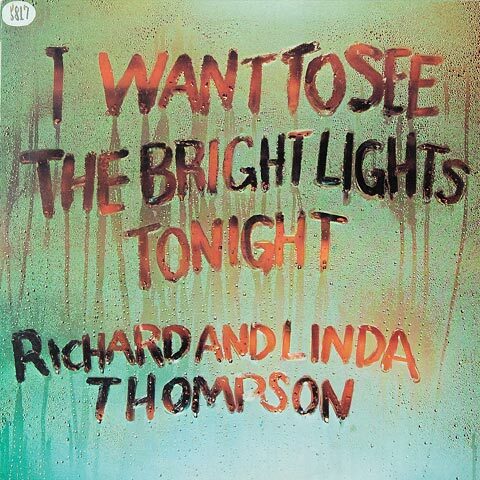 Thompson fell in love with singer Linda Peters whilst recording the album and the pair married, "I Want To See The Bright Lights Tonight" was their first album together, it was recorded by John Wood at Sound Techniques in 1973. 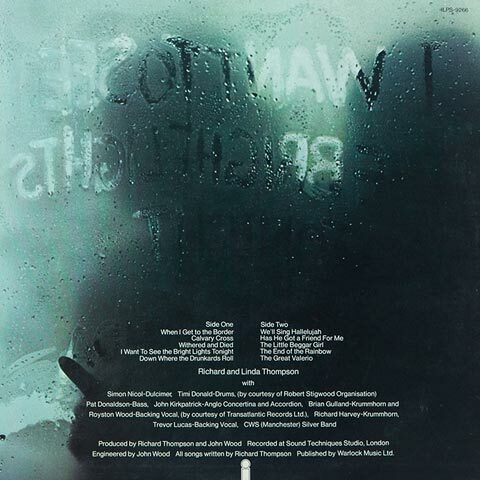 The album is seen by many as Thompson's best work, the foreboding sense of dread permeates the electric folk sound that he had made his own, the BBC called it "The most perfect balancing act between hard-bitten cynicism and honest humanism". 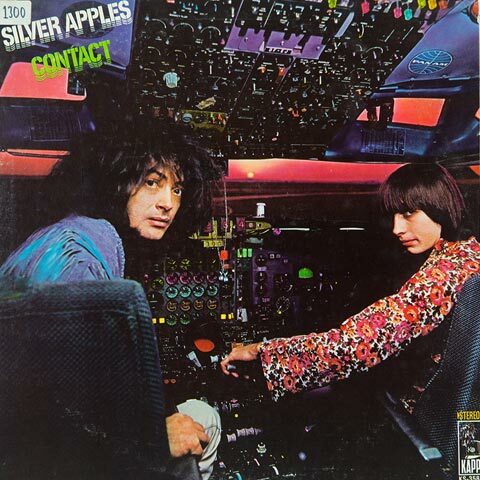 Silver Apples happened almost by accident, Danny Taylor was the only member of The Overland Stage Electric Band who didn't walk out when Simeon Cox started playing with a vintage oscillator, and the duo went on to become one of the most innovative and influential acts of the late sixties. Simeon built a homemade synth to play with "12 oscillators and an assortment of sound filters, telegraph keys, radio parts, lab gear and a variety of second hand junk" whilst Taylor played drums. 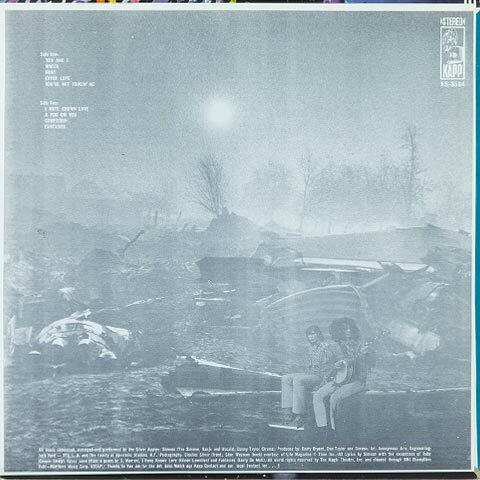 Contact was their second album and it became their downfall, the front cover showed the pair sitting in the cockpit of a Pan Am plane and the back cover showed them at the site of a plane crash, which resulted in a series of lawsuits from the airline that effectively ended their career. Michael Rother and Klaus Dinger left Kraftwerk in 1971 to form Neu. 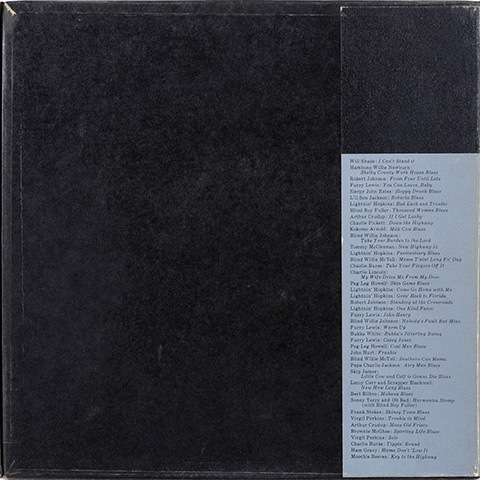 They didn't find fame, but such was their influence it seemed like every fan they had went on to form their own band, they are seen as the founding fathers of Krautrock and were imperative to the formation of electronic music as we know it. 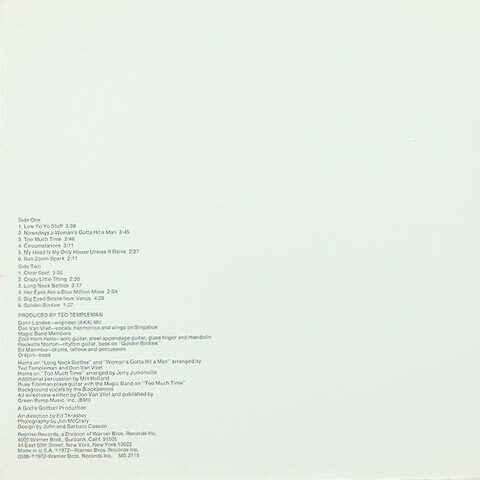 This single didn't sell well at the time and as a result the label wouldn't extend the advance given to the band when they ran out of money in the studio, which led to their second album featuring a number of tape manipulations, which later became regarded as the first remixes. 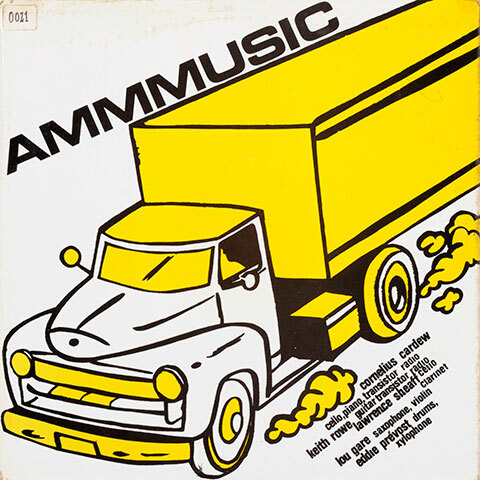 AMM were a group born of philosophy rather than the performance of music, the idea of searching for sound, in a leaderless environment, attempting to create a new type of music altogether. Unlike traditional free improvisation, which created sound and reflected upon itself, AMM sought to continue way past those boundaries. 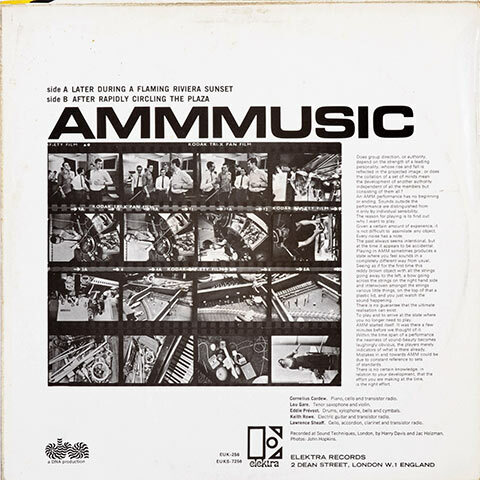 AMMMusic was recorded in one night at Sound Technique by John Wood and financed by Elektra, the musicians; Cornelius Cardew, Keith Rowe, Lawrence Sheaff, Lou Gare, and Eddie Prevost actively avoided harmony and rhythm, in an attempt to create one indistinguishable group sound. In fact, they counted 'the group' when referring to its members, so if they played as a trio, they were in fact a quartet, because they considered the group as its own entity.